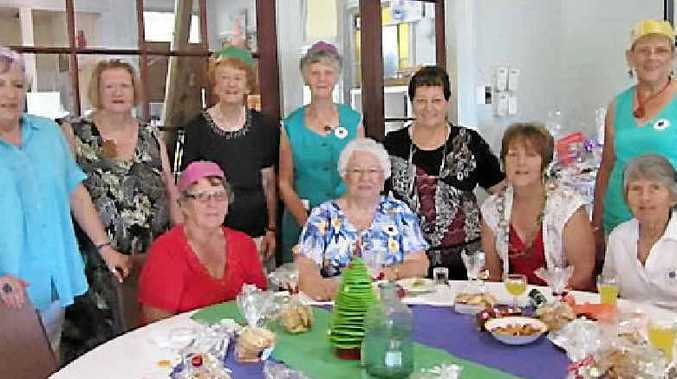 CHRISTMAS FARE: Enjoying the OWN Christmas party are (back from left) Raylee Brennan, Lil O’Donnell, Barbara Hack, Helen Steele, Maria Kovacs, Lyn Day, (front) Gloria Portas, Meg Connors, Linda Percival and Margaret Greenhalgh. 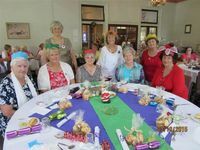 FIFTY-six members along with eight visitors and guests, including Queensland OWN president June Donnelly, attended the Gympie Older Women's Network Christmas party at Gunabul. 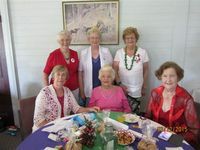 Each person was given a gift of homemade biscuits which were made by some of the committee. A raffle was held with everyone receiveing at least one prize. 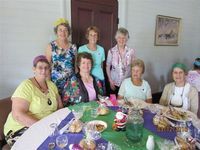 Thanks to all the members who have helped to make this a very sucessful year. 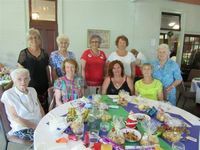 The first meeting of OWN for 2016 will be on Thursday, January 14 and the first meeting for the craft group will be Friday, January 8. Inquiries Lee 5483 1415 or Helen 5483 5181.